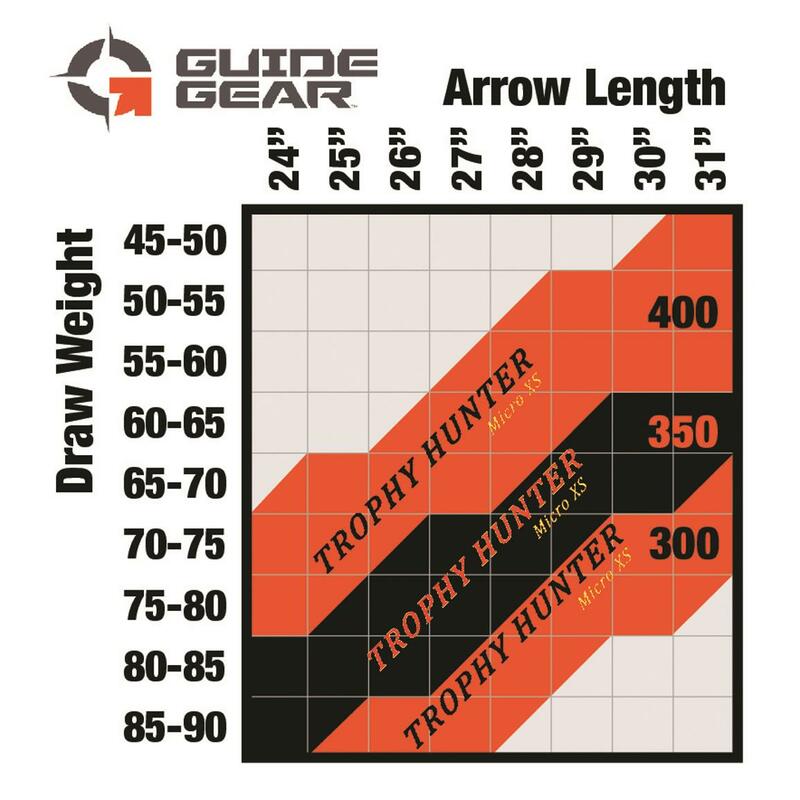 Designed with the hunter in mind, Guide Gear® Trophy Hunter Micro Arrows feature a small size that makes 'em deadly fast and super powerful. 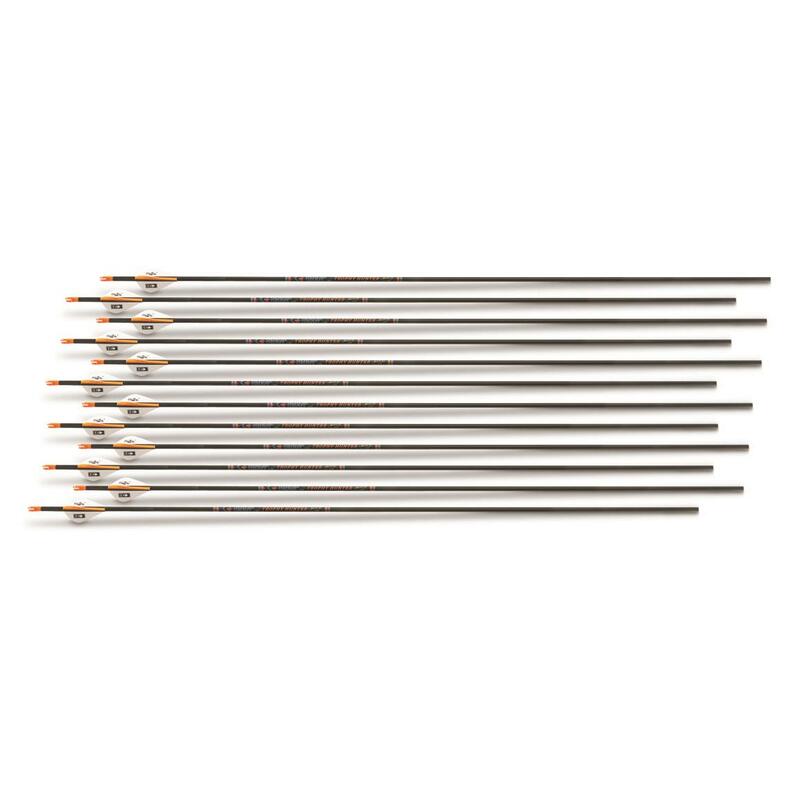 Each Arrow is made from 100% high modulus carbon that's lightweight yet strong and quiet. Plus, they come equipped with Bohning's 2" Blazer Vanes and Double-Lock F-nock. Includes 12 arrows with Victory® shock inserts. 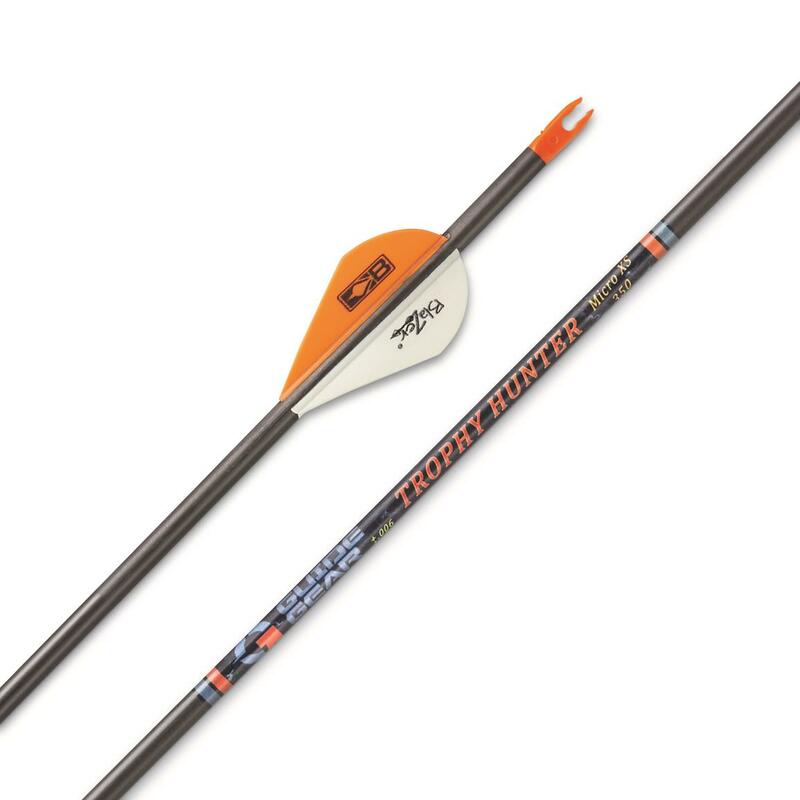 Coated with Victory Archery's advanced ICETM coating, Guide Gear® Trophy Hunter Pro Micro Arrows provide excellent penetration and speed while making less noise than other arrows. ICETM technology is also scent-free and never needs to be reapplied. Plus, it makes it quick and easy to remove your arrows when you're shooting bullseyes in the backyard.